Home / Unlabelled / The CBN reveals how nigerians can own a home, and pay back in 25 yeara. 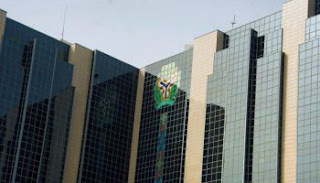 The CBN reveals how nigerians can own a home, and pay back in 25 yeara. The Central Bank of Nigeria (CBN) is spearheading a new scheme targeted at providing improved access to housing finance to aspiring homeowners. The initiative would have a tenor of 15 years to 25 years, depending on the age of the borrower, their income and desired tenor and would be available to eligible applicants with insufficient or no equity contribution. The scheme, known as My Own Home, is also expected to provide awareness, education and practical tips to assist prospective homeowners in need of long-term housing finance. The public-private partnership project is backed by the World Bank, Federal Ministry of Finance, Federal Ministry of Power, Works and Housing, Federal Ministry of Justice, Mortgage Banking Association of Nigeria, as well as primary mortgage banks through equity in the Nigeria Mortgage Refinance Company. CBN’s Housing and Mortgage Finance Consultant on the Nigeria Housing Finance Programme, Mrs. Adenike Fasanya-Osilaja, explained that the initiative would provide mortgages, mortgage guarantee and insurance as well as housing microfinance to every Nigerian in need of a home. “Every Nigerian has a right to own a home through mortgage. There seems to be a fear of taking mortgages but this programme seeks to dispel the style of building block by block. “Nigerians should go to their banks and ask questions because this is a scheme to help every Nigerian who needs a home,” Fasanya-Osilaja said. According to her, the initiative will provide housing finance to Nigerians who are up to the age of 21 and meet the borrowing requirements of a mortgage originating bank or a housing microfinance bank. She however noted that the scheme would not provide ready-made houses but was designed to jumpstart the housing finance market. “Once it starts, the banks will take over to give loans, which will help aspiring homeowners. All they need to do is ask participating mortgage originating banks or housing finance institutions for requirements to participate”. “It is an industry-driven programme and the industry will remain the same irrespective of government and political parties in power. The scheme does not have its base in social housing and so sustainability is assured; it does not discriminate on the basis of income.